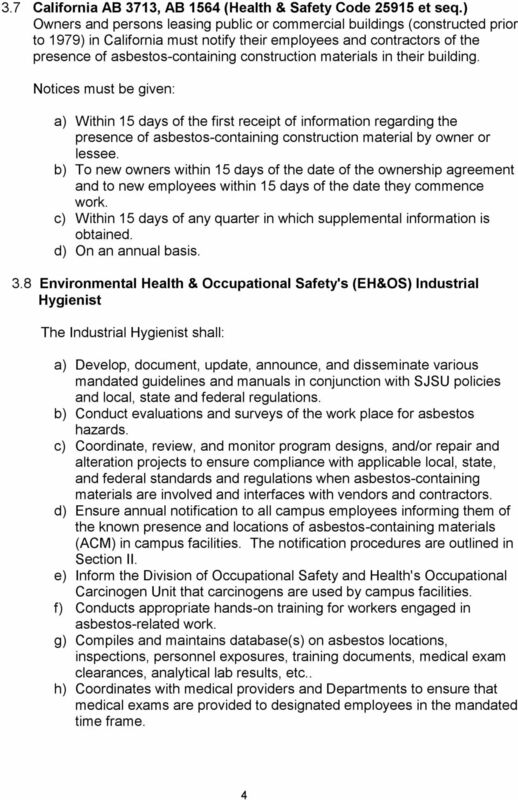 ASBESTOS MANAGEMENT PROGRAM September 2015 Asbestos Management Program Table of Contents I. Purpose II. III. IV. 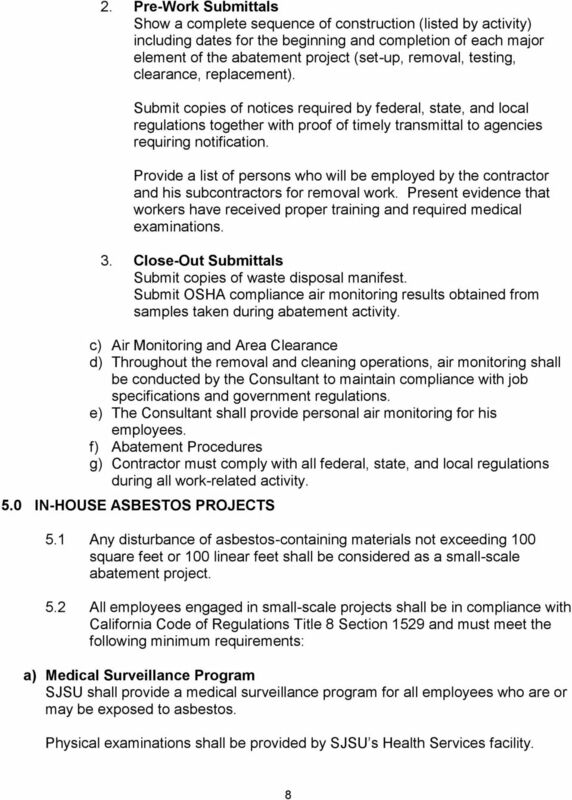 Definitions Identification of Asbestos Asbestos Sampling V. Notification and Labeling VI. 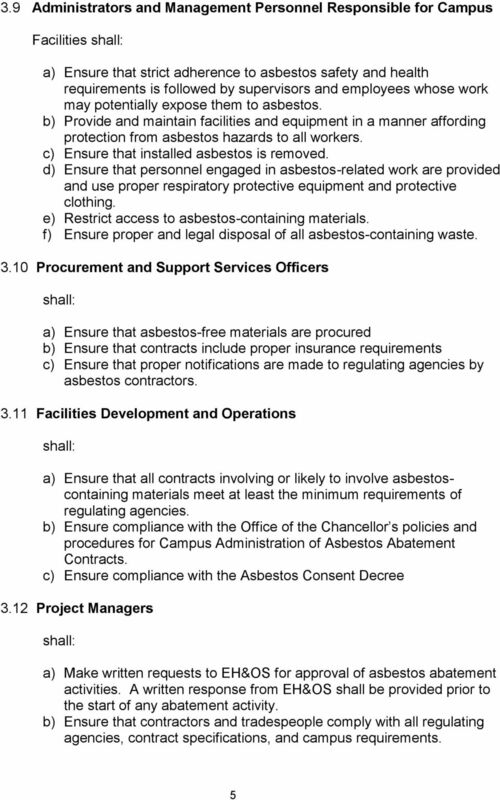 The purpose of this document is to provide guidance on the safe removal and disposal of asbestos and asbestos-containing materials. PART 1 GENERAL 1.01 RELATED DOCUMENTS A. 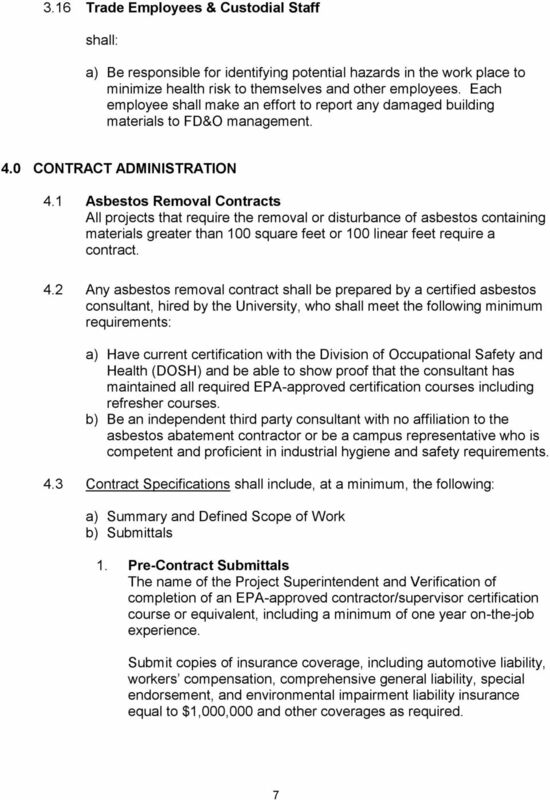 Drawings and general provisions of Contract, including General and Supplementary Conditions and Division 1 specification sections shall apply to work of this section. 2. 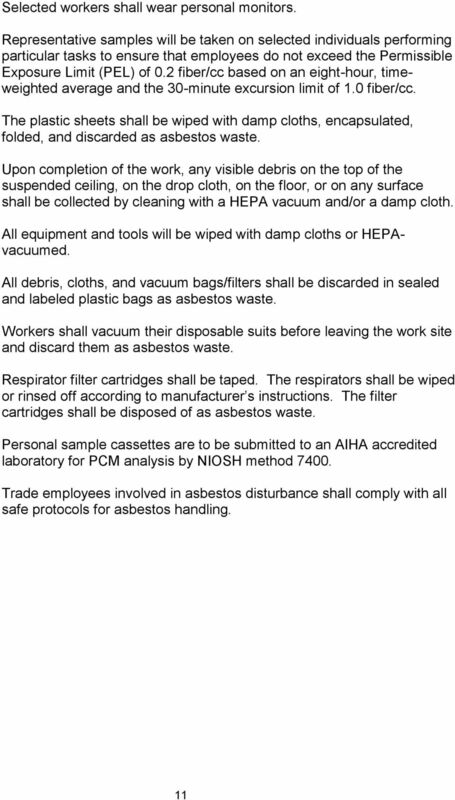 40 CFR Part 763; The Asbestos Hazard Emergency Response Act (AHERA), EPA Worker Protection Rule, February 25, 1987. Primary reason asbestos is used, is its special resistance to heat. Asbestos fibers are also virtually indestructible. ASBESTOS AWARENESS Asbestos Awareness Asbestos is a serious health hazard commonly found in our environment today. 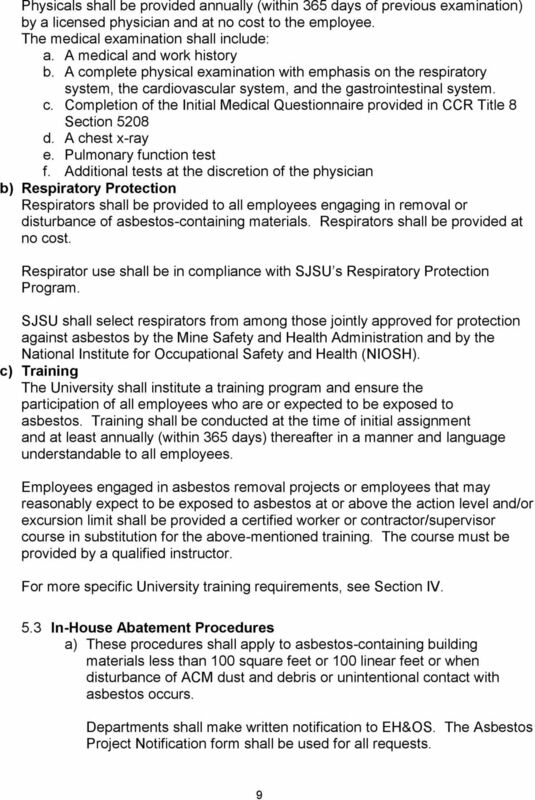 This module is designed to provide initial education of asbestos and its associated hazards. 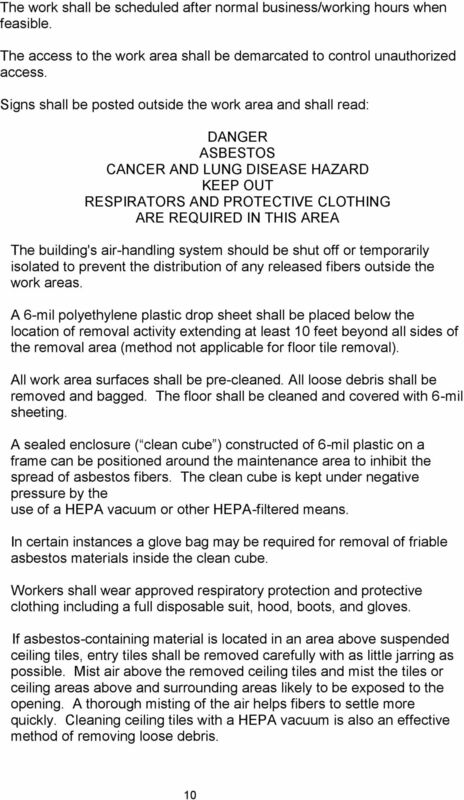 Asbestos in Your Home The following information below is taken largely from a document developed in 1990 entitled Asbestos in Your Home. However, this information is still of value to homeowners and renters. ASBESTOS AWARENESS Slide #1 OBJECTIVES Participants will be able to: Describe what asbestos is. Identify in what components asbestos is typically found. 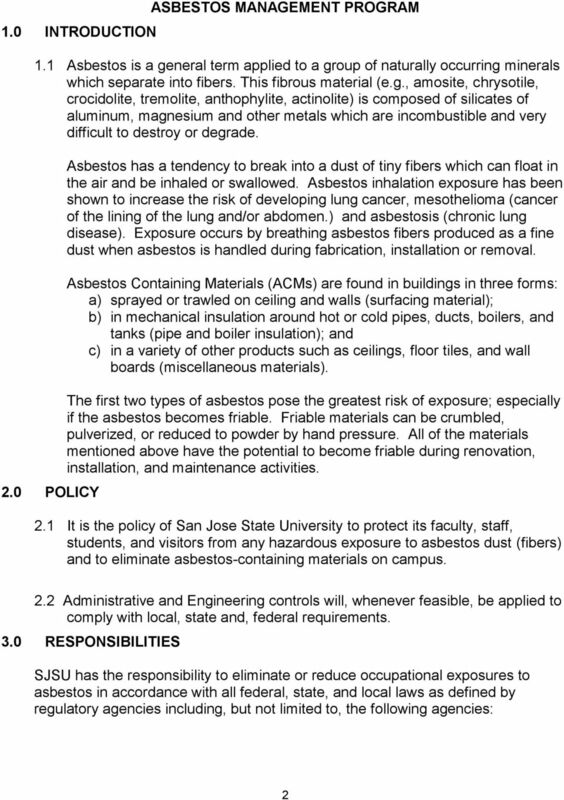 Describe the health effects of exposure to asbestos. ASBESTOS AWARENESS IN THE WORKPLACE. This easy-to-use Leader s Guide is provided to assist in conducting a successful presentation. Asbestos Awareness. What is Asbestos? 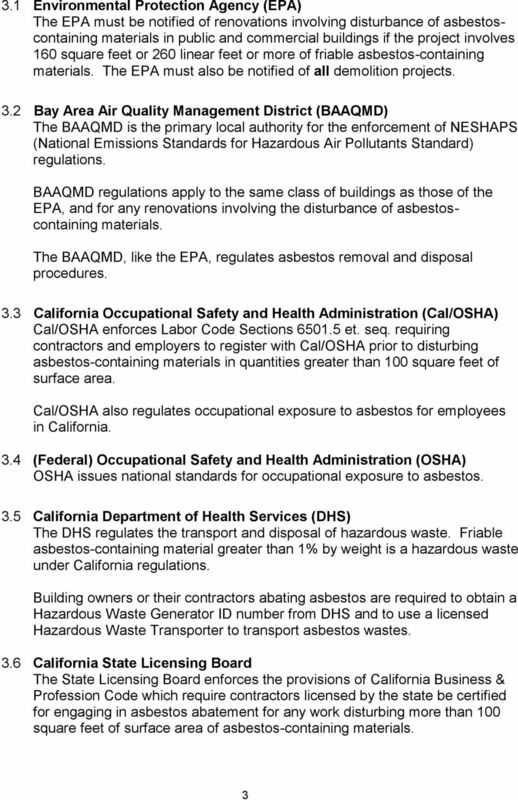 June 2012 This fact sheet provides information to people who are trying to determine whether there is asbestos-containing material in their home or workplace, and what they might do if there is asbestos. 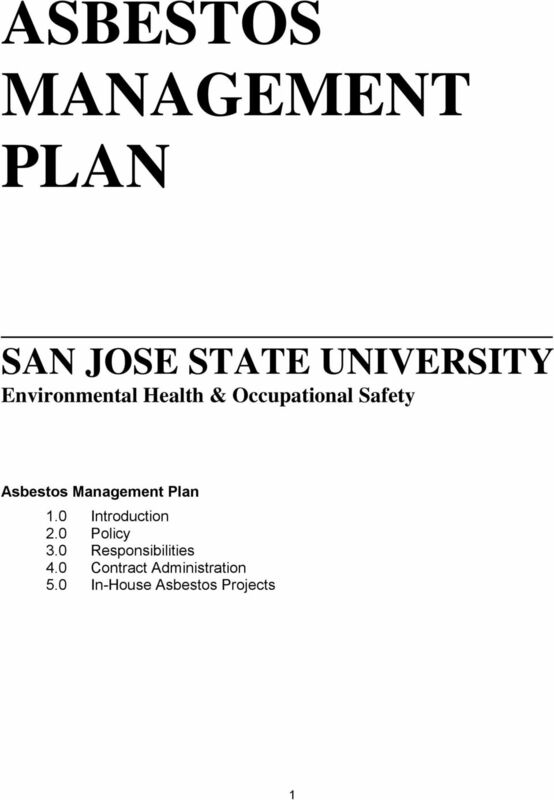 ASBESTOS MANAGEMENT. 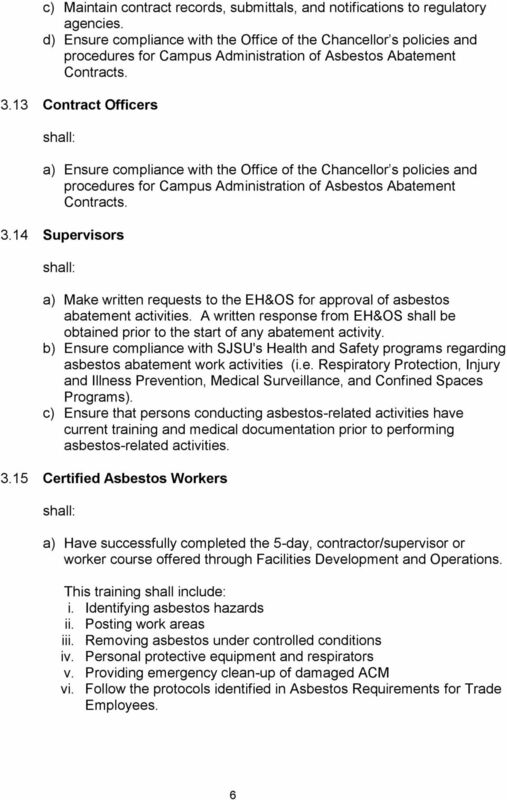 a) Responsible for the oversight and adherence of all employees to the Asbestos Management program. If you think your home might have asbestos, read this pamphlet to learn some simple steps to protect your family.